A gem of a short hole with great vistas across the course and up to the clubhouse. This par 3 is all downhill to a long but narrow green. Accuracy with the tee shot is important here as there are plenty of hazards to catch the wayward shot. 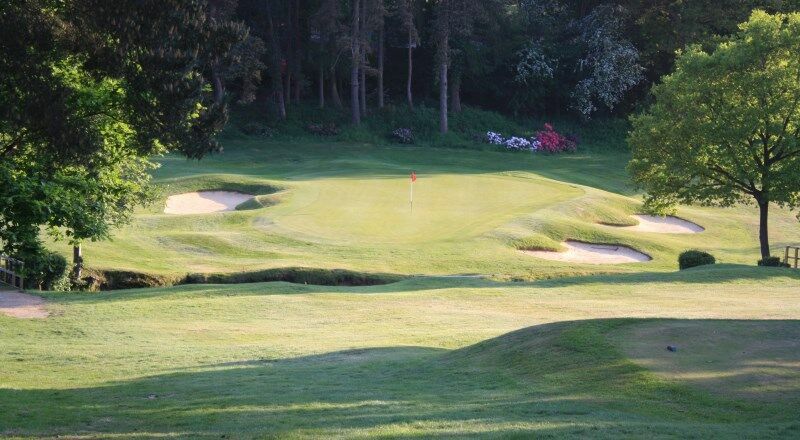 There are bunkers on both sides of the green, the brook running across the front and a small copse at the back of the hole. A wonderful hole to finish the front nine. 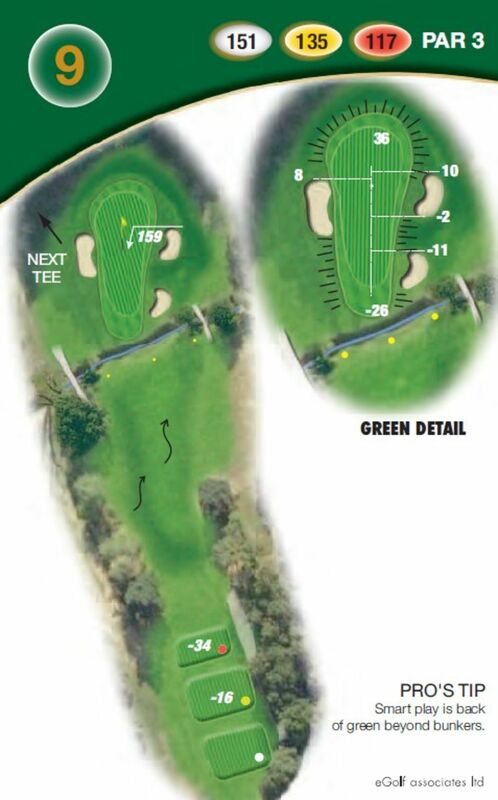 The smart decision here is to play for the back of the green.